Time to sell your Romar Tower condo? Read about today's resort-market buyer. 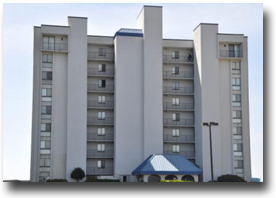 Romar Tower condominium (built in 1984) is located just about a mile east of the Gulf State Park in Orange Beach, AL. 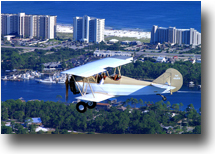 It is close to Adventure Island (Orange Beach's only amusement park) and several popular restaurants. This 9 story, 35 unit mid-rise, concrete and steel condominium is located directly on the Gulf of Mexico. The complex offers one bedroom / one bath units that are 743 sq. ft., two bedroom / two bath unit that are over 1000 sq. ft. and three bedroom / two bath units that are approx. 1250 sq. ft. This lower density tower offers a very nice atmosphere. If crowds are not your thing, you will really enjoy hanging out on the beach or by the pool, barbequing or catching a little shade in the gazebo. The complex also offers a common lobby for guests and owners. Please let us know if you would like further info for Romar Tower or any other condos, homes or real estate along the Gulf Coast or would like to schedule a private viewing by emailing info@condoinvestment.com or by calling 251-Area-Pro (251-273-2776) for immediate assistance. Learn ways to increase your Romar Tower rental income with our RENTAL TIPS. Find annual revenue numbers for Romar Tower and all other Alabama Gulf Coast condos. Click here for aerial photos of the Romar Tower condominium in Gulf Shores, AL.